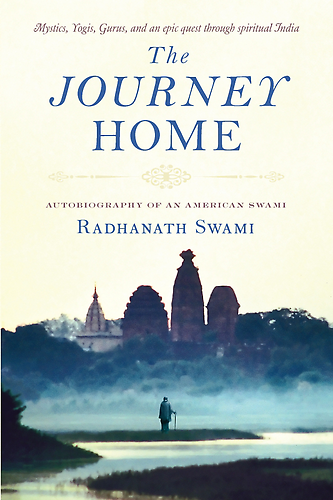 Question to Radhanath Swami: Swami Ji, we hear about so many learned and dignified personalities from scriptures but I find it difficult to understand that why such learned men go against Lord. For e.g. Bhisma in Mahabharata was a man with high character and knowledge; still he chose to fight against Krishna… please shed some light on this? 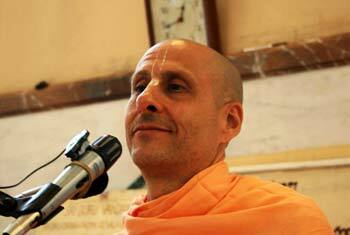 Radhanath Swami: Bhisma was always upright, loyal and true in the service of the Lord. Although as an instrument in the Lord’s hands he had to play a thankless role and be misunderstood forever. Generally, people think that Bhisma was obliged to Duryodhana because he was receiving food from him and thus he had to be on his side. 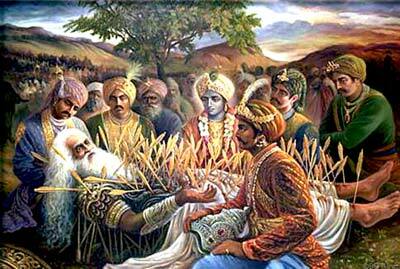 The real reason that Bhisma accepted the side of Kurus was the will of Lord Krishna. Because when Krishna wants to show a fantastic example to the whole world, He uses His devotee. And irrespective of who you are, if you are on the side of Krishna you will be victorious because Krishna is Achyuta. Achyuta means unconquerable. But the unconquerable Krishna agrees to be conquered by the love of His devotees. What to do against the united forces of evil?